The workers compensation insurance market showed some signs of recovery in 2012, according to the annual Ã¢â‚¬Å“State of the LineÃ¢â‚¬  report from NCCI. Among the positives, the combined ratio for workers compensation improved for the first time since 2006, premium grew for the second consecutive year, and clam frequency declined significantly for the first time since 2009. 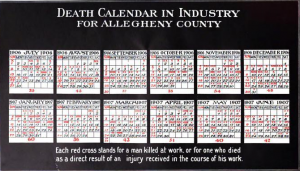 The workers compensation calendar combined ratio was 109 in 2012, a six-point decrease from 2011. While a 109 combined ratio is far from satisfactory, the decline is welcome, NCCI said. The accident year combined ratio also experienced a six-point improvement, declining to 108 in 2012, following 114 in 2011. Net written premium (including state funds) also increased by 9 percent to $39.63 billion in 2012, after an 8 percent increase in 2011 Ã¢â‚¬“ a welcome shift following the cumulative 27 percent decline in premium from 2006-2010. In other good news, lost-time claim frequency improved significantly in 2012 Ã¢â‚¬“ down 5 percent on average in NCCI states. This is slightly larger than NCCIÃ¢â‚¬â„¢s long-term annual estimate of a 2-4 percent decline per year. Check out Insurance Journal for more on this story. I.I.I. facts and statistics on workers comp are available here. There were some positives and negatives for the workers compensation insurance market in the annual Ã¢â‚¬Å“State of the LineÃ¢â‚¬  report from NCCI Holdings Inc.
On the plus side, written premiums saw growth for the first time since 2005, indicating that the worst of the recession is over. Net written premiums (including state funds) increased by 7.4 percent to $36.3 billion, a welcome shift following the cumulative 27 percent decline in premium from 2006-2010, NCCI said. However, for the third straight year, workers compensation holds the distinction of having the highest combined ratio of all the major commercial lines. 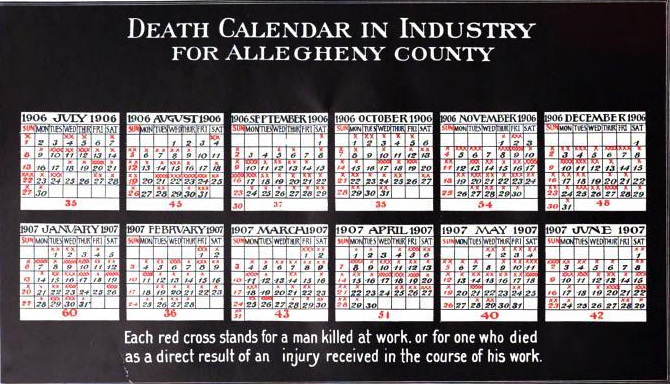 NCCI reported that the workers compensation calendar year combined ratio was 115 in 2011, the same number as in 2010. Despite the challenges, NCCI added that the industry is well-capitalized for the future. Check out I.I.I. information on workers compensation. WeÃ¢â‚¬â„¢ve blogged before about the rising cost of the obesity epidemic in the United StatesÃ‚ both in terms of pounds and dollars. Now research from the NCCI confirms anecdotal data that work-related injuries are far more costly if the injured worker is obese. Hat tip to Insurance Journal for highlighting this study. The dramatically higher medical costs suggest that the types and nature of injuries sustained by obese workers, especially the Ã¢â‚¬Å“morbidly obese,Ã¢â‚¬  are more likely to result in permanent disabilities, NCCI says. Given that obese claimants have more permanent disabilities and longer duration of medical treatments, it is highly likely that obese claimants would also have higher indemnity costs than comparable non-obese claimants, it adds. In terms of prevention, insurers could offer incentives similar to those already in place for drug-free workplaces. Employers can also play a role in prevention by putting programs in place to try to improve lifestyle choices in terms of nutrition and fitness. A related article in the Wall Street Journal today reports on how local communities around the country are taking new steps to push residents to improve their health. Check out I.I.I. information on workers compensation and obesity risk.